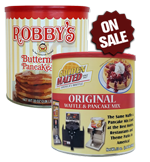 Get two of our most popular mixes together in classic 33 ounce canisters for one low price today! 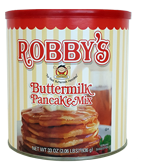 With our exclusive America's Favorites Value Pack, you'll get our world-famous Original Waffle and Pancake Mix, along with Robby's Original Buttermilk Pancake Mix together in premium canisters. Contains one each of our 33 oz. 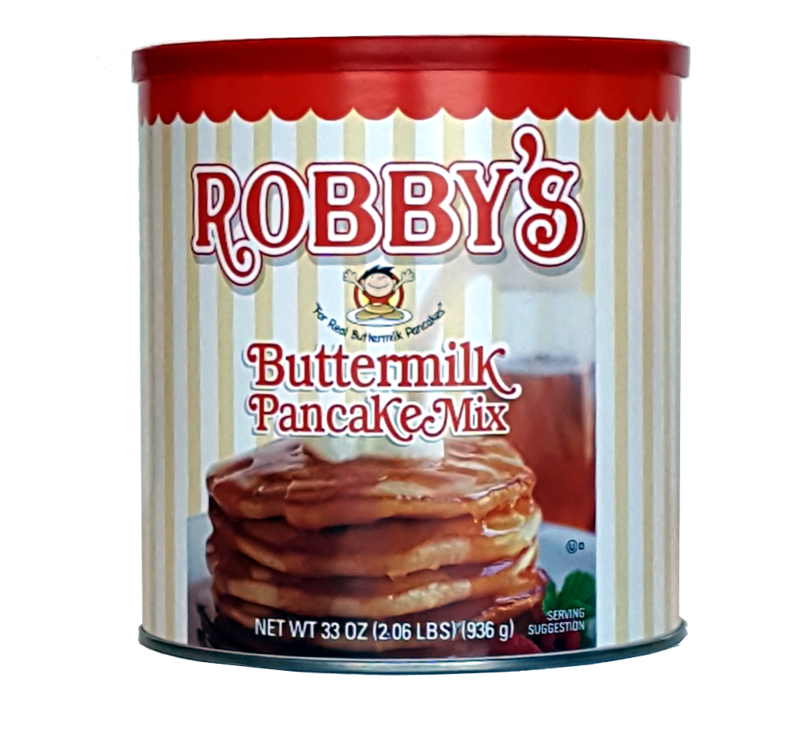 canisters: Original Waffle & Pancake Mix and Original Robby’s Buttermilk Pancake Mix. Note: No additional promotional codes can be applied to this discounted product. 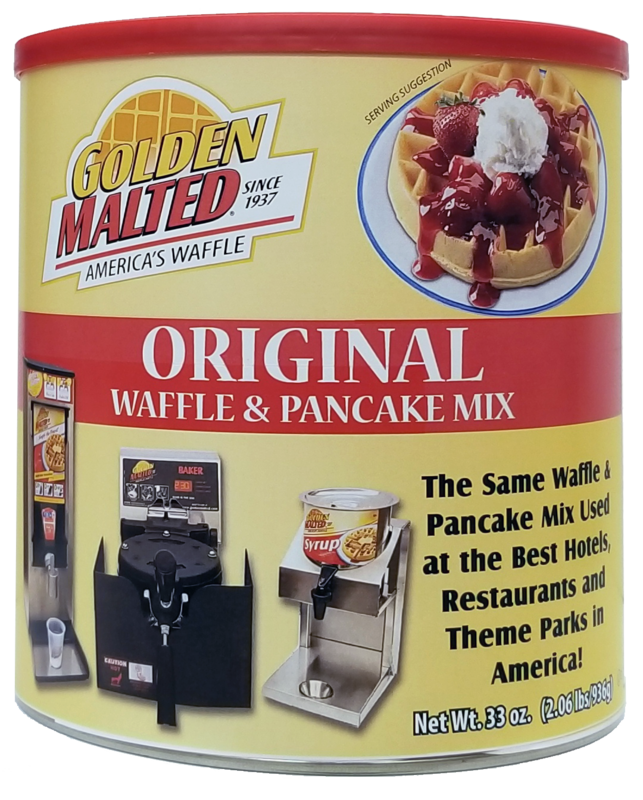 This is the same mix as used in hotels when you create you own waffles. 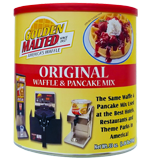 Mix creates great tasting waffle, easy to mix, sturdy container, and easy directions. 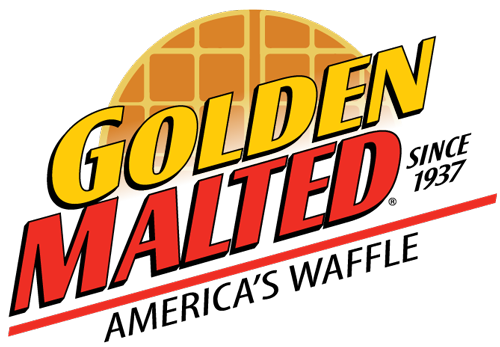 Often create large batches using the mix and freeze the waffles so they can later be warmed in the toaster or microwave and still taste the when warmed. Bought this for my husband. We had it when we stayed at a hotel back east. He raved about it, so excited to find it online.